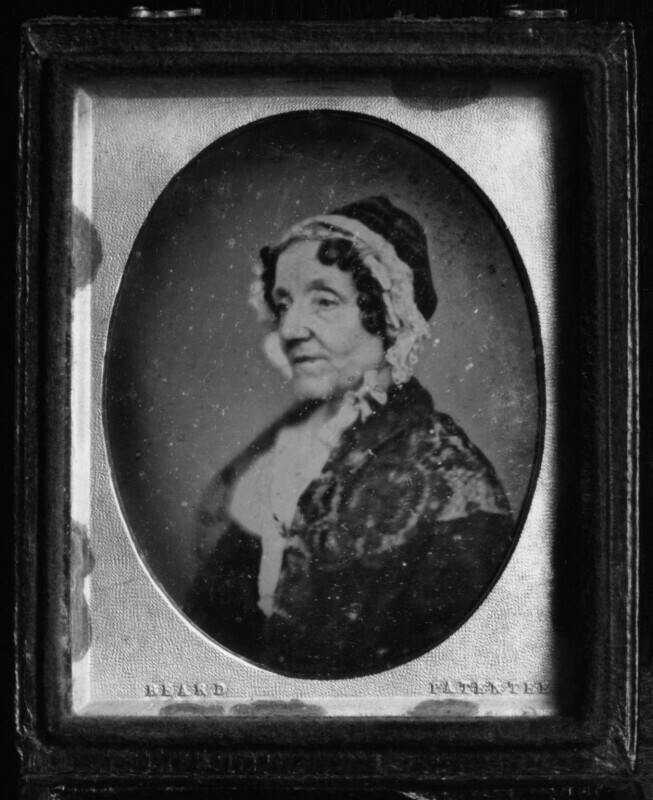 Maria Edgeworth (1768-1849), Novelist; daughter of Richard Lovell Edgeworth. Sitter associated with 9 portraits. Richard Beard (1801-1885). Artist associated with 10 portraits. Sir Robert Peel's second term as Prime Minister. Peel replaces the Whig Prime Minister Lord Melbourne after a Conservative general election victory. The English comic periodical Punch is first published, under the auspices of engraver Ebenezer Landells and writer Henry Mayhew, and quickly establishes itself as a radical commentary on the arts, politics and current affairs, notable for its heavily satirised cartoons. Thomas Carlyle publishes his set of lectures On Heroes and Hero Worship, in which he attempts to connect past heroic figures to significant figures form the present. William Henry Fox Talbot invents the calotype process, in which photographs were developed from negatives. This allowed for multiple copies of images to be made, and was the basis of modern, pre-digital, photographic processing. Signing of the Straits Convention, an international agreement between Britain, France, Prussia, Austria, Russia and Turkey, denying access to non-Ottoman warships through the seas connecting the Mediterranean and the Black Seas, a major concession by Russia. Whilst signalling a spirit of co-operation, the convention emphasises the decline of the Ottoman Empire.